This competition is closed. Congratulations to Urvashi, who was selected as the winner! Easter is just around the corner, so we are giving you the chance to win a set of four d.line Baby Bunny Moulds and a d.line Stainless Steel Bunny Cookie Cutter to help you create some Easter treats. What would you make using this prize? Competition closes at 11am on 2 April 2012. We will select our favourite response and post the winner's name on this page by 4 April 2012. The prize is valued at $15.75 (including delivery). The competition commences on 30 March 2012 and closes at 11am AEST on 2 April 2012. 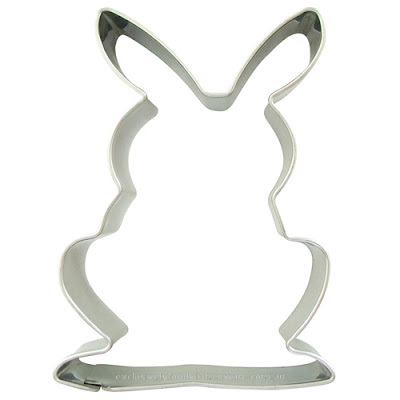 There will be one winner, who will receive one 8.5cm bunny cookie cutter and one set of four bunny moulds. The winner will be notified by email. If they do not respond within one week, another winner will be selected.